Thanks for visiting our blog. We have a new blog for 2010. Click below to come and see what we are up to! I found this short Pixar film on YouTube and it reminded me of the learning journey some of the children in Room 1 have been on this year. Sometimes you have got frustrated or annoyed or upset (like the cloud learning to make new baby animals) because learning has been hard for you but together we have been able to find new solutions (like the bird borrowing the helmet and protective gear). ENJOY! On Friday for art, we made amazing firework pictures using oil pastels. Then today for writing, we brainstormed words to describe what fireworks look like, how they move and what sounds they make, then we wrote poems about fireworks. Check out our wordle of all the -ing words we thought of. Can you find them in our poems? Check out our Photostory of our art and poems - some people read their poems and some of our poems are typed. 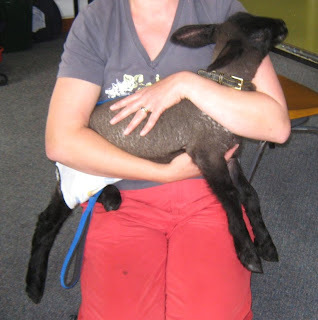 Mungo the lamb came to school to visit Room 1. She was wearing a collar with a lead and a nappy! She had some milk to drink. She drank it really quickly. Mungo is a Suffolk lamb. She is only 2 weeks old. She had a black face and black legs and her wool looked brown but it will turn white when she gets bigger. We were allowed to give Mungo a pat. Her wool felt soft and fluffy. She has long eyelashes and hard hooves. Mungo the lamb was very cute! Our big book last week and this week was about bubbles and things that are full of air. 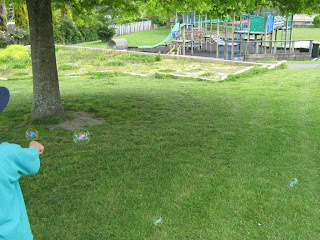 Today we went outside to blow some bubbles. It was really windy so they floated everywhere!! We had lots of FUN!! 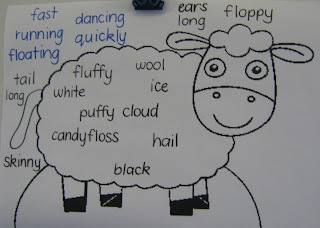 Today for writing we described the sheep from the clip we watched about Little Bo Peep. Can you find some of the words from our brainstorm in our writing? Who has lost her sheep? Which character drops in to this episode of the Teletubbies to look for her sheep? Does she find them?